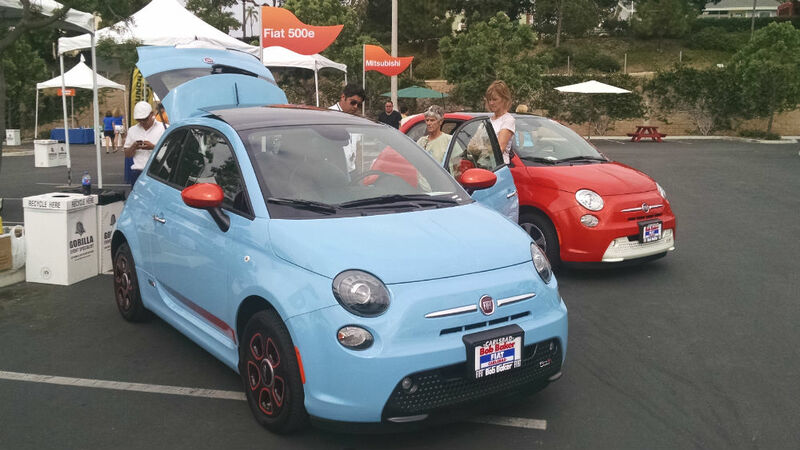 Hundreds of people showed up at Liberty Station Saturday to test drive a wide variety of electric vehicles and learn about purchasing incentives at a free event hosted by San Diego Gas & Electric. San Diego Mayor Kevin Faulconer proclaimed Saturday “Electric Vehicle Day” in in honor of the event, which comes shortly after sales and leases of the cars passed the 10,000 mark in SDG&E’s service territory. Statewide, more than 100,000 plug-in vehicles are on the road, according to the California Plug-In Electric Vehicle Collaborative. Gov. Jerry Brown has a goal of building the infrastructure necessary to support 1 million EVs statewide by 2020. According to SDG&E, there are more than 600 public charging stations in its territory. The utility says it offers EV drivers a special low electricity rate when they program their cars to charge at night, when overall demand on power supplies is low.